Dance Activities and Benefits - Why Dance? People take up dance activities for many different reasons. Some want to try a fun activity and a new way to socialize and enjoy nightlife. Others want to rekindle connection with their partner in a constructive, engaging way. Over the years, I’ve worked with a diversity of students, and in almost every case, I’ve observed the ways in which dance leads to remarkable growth, self awareness, and confidence. By engaging in dance activities, you will benefit from increased energy, creative self expression, and self esteem. You will disconnect from the main stress factors in your life while still keeping your body and mind active. 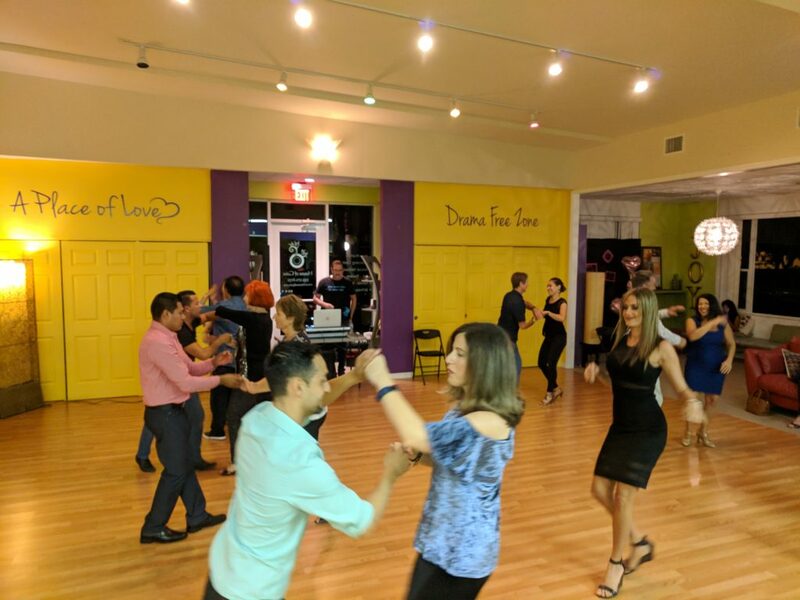 Through our group classes and regular dance socials, you will meet new, like-minded people, feel more connection with others, and become a smooth savvy dancer as soon as you hit the dance floor. Through one on one classes, you will quickly begin mastering your dance skills and find satisfaction in the challenge of learning something new. For those that want to take it to the next level, we also offer performance and competition training. At Kumo Dance, we want to help you achieve your goals. Your age and level of experience don’t matter, you will learn to dance and probably really enjoy the process. As a beginner, you might feel embarrassed to start dancing, whether in private or group classes. We’ve all been there and it’s ok! At Kumo Dance, you can expect a fun, safe and judgement free environment that encourages your personal growth and self confidence, all while giving you the challenge you need to achieve your goals. Payment options are many and flexible. You can simply pay as you go for group classes, one on one classes etc. and we also offer monthly payment plans to fit your budget. You won’t feel pressure sales and there are great perks and discounts for all our students, as well as fun and sometimes free events. Check out the calendar to find out about upcoming events. At this point, you might be wondering who the face is behind Kumo Dance. Read all about your dance instructor here. If you have any questions about the packages I offer, please contact me.